Sports enthusiasts will experience skiing alternatives and fun when sledding. The sportive activity for everyone is most entertaining when sledding in groups or with family – sledding with others simply is great fun! The Stubaital offers a total of 12 sled runs that are distinguished with the Naturrodelbahn quality seal. The Schlick 2000 skiing centre even has two runs on offer. 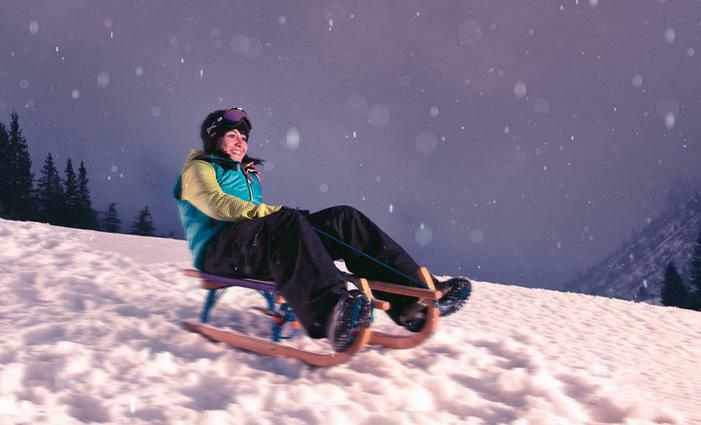 A particularly exciting experience is the night sledding. Atmospheric rest stops along the run perfectly round off the sledding experience. Ascent with the cable car from 7.30 - 9 pm. On show nights, ascent until 10.00 pm. Freshly prepared, 3 km long, illuminated slope with rest stops offering refreshments!